DJ Jazzy Jeff & The Fresh Prince is a hip hop group from West Philadelphia, Pennsylvania. Vocalist Will Smith (The Fresh Prince) met Jeff Townes (DJ Jazzy Jeff) while trying to make a name for himself in West Philadelphia's local hip hop scene. After joining forces with Clarence Holmes (Ready Rock C) the team members became local celebrities. Holmes left the group in 1990, and later sued it in 1999. The group received the first rap Grammy ever in 1989 for "Parents Just Don't Understand", though their most successful single was "Summertime" which earned the group their second Grammy and peaked at number 4 on the Billboard Hot 100. Will Smith and Jeff Townes are still friends and claim that they never split up, having made songs under Smith's solo performer credit. 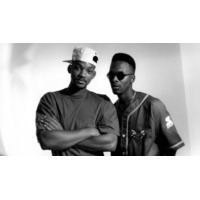 DJ Jazzy Jeff & The Fresh Prince have sold over 5.5 million albums in the US.